Faced with limited options for promoting their new album, the team for international besties Kurt Vile & Courtney Barnett invented a clever Spotify playlist program. Courtney Barnett and Kurt Vile. Photo by Danny Cohen. 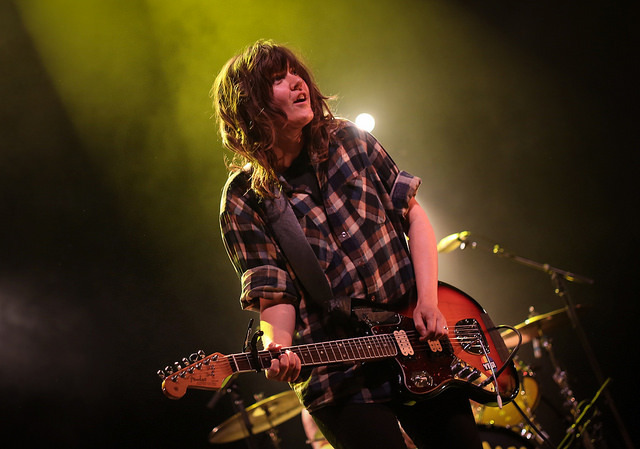 During a particularly disorienting time in her life, the Australian singer-songwriter Courtney Barnett found a friend in Philadelphia alt-rocker Kurt Vile, years before the two would ever meet. While unemployed and drifting through life, Barnett recently told Uproxx, she listened “over and over” to Vile’s song “Peeping Tomboy,” finding solace in his tale of a drifting misfit. Years later, she opened for Vile when he played her hometown of Melbourne. He was immediately taken by her song “Outta The Woodwork” from her debut compilation *The Double EP: A Sea Of Split Peas*. The album was a way for both artists to take a breather and recharge their creative batteries, and while they did embark on a brief tour to support it, they both planned to get back to work on new solo albums soon. This meant that the promotional options available to the publicity teams at Matador Records and the Beggars Group were somewhat limited. "We had this tour, and the record, and that was kind of it," remembers Rian Fossett, director of marketing at Matador. "So we just put our heads together over the summer." The team decided to lean into the idea of distance, and the result is the Intercontinental Mixtape Exchange program, created in partnership with Spotify. The name and idea for the program both nod to a standout track from Lotta Sea Lice, "Continental Breakfast," and the fact that the songwriting pair are friends who live in different hemispheres. "We're trying to find a way to take the themes of some of the lyrical content of the record," says Naomi Scott, Director of Creative Development at Beggar's Group, pointing to that song in particular. "We built it in a way that it attempts to connect you to a person who is in a different part of the world." Courtney Barnett, of Kurt & Courtney. The website for the Mixtape Exchange allows fans to create a playlist from Spotify and send it to a music fan on the other side of the globe, and then receive one in return, in the spirit of musical discovery and making digital friends. This writer received a playlist from a Glasgow, Scotland, resident named Dom titled "Faves Forever" that included beloved cuts from Daft Punk, R.E.M., and Barry Manilow, and sent a mixtape to someone with favorite recent songs from Danny Brown, Car Seat Headrest, and David Bowie. The program is designed to notice where the user is located when sending the mixtape, and to match them with someone in a different part of the world. "It was very much an exercise in trying to reach across different continents,” explains Scott, “rather than simply a random matching of people." The visual style of the site and the gathering together of curated songs is meant to harken back to the mixtape culture of the 80s and 90s, when friends would turn each other on to new songs via dubbed cassettes. "Sharing Spotify playlists is arguably the new sharing mixtapes," Scott says. 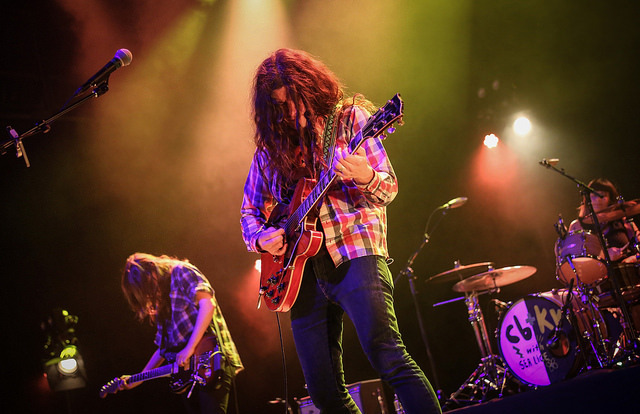 Kurt Vile, of Kurt & Courtney. An early plan to have Vile and Barnett share playlists from each tour stop was scuttled due to their time commitments, but creative programs like the Intercontinental Mixtape Exchange show how to work around limited access and a time crunch while staying true to the artists’ creative ethos. The program both keeps fans engaged and aware of Lotta Sea Lice, while also deepening the album’s theme of long-distance friendship. And who knows—maybe some fan’s next great creative collaborator is just an international playlist exchange away.